First year of college is not always a bed of roses without hard work keeping up with your routines and goals. It’s the stage where you are being challenged the most both academically and socially. It involves a major change in life, friends circle and environment. This is the time you learn and get out of your comfort zone. It’s not going to be easy as you think, but don’t worry, these tips will help you survive the first year of college with no problem. Get to know the situation and campus! The first day of college is always difficult for most of the students as they experience many new changes such as meeting and interacting with new people, and adjusting to a new environment. We recommend that the first few weeks dedicate yourself to know the campus. Take a turn (not just for the cafeteria!) And familiarize yourself with all the areas of your faculty and environment. Find out where your classrooms and other services are, even if you do not need them now, you will not be lost when the time comes. Knowing the campus will help you a lot during the transition, giving you confidence and ability to get along naturally. There is nothing wrong to spend time to explore and know everything about your campus, but don’t neglect the lectures and classes. Plan an effective and structured studying schedule so that you can maintain the right balance between your studies and your social life. Do not let the nerves block you and take away the opportunity to enjoy this new life. The fears will only make you lose confidence, and focus — making it difficult to achieve your goals. Maybe the fear or the nerves of the first days make you to consider not going to class or at least not to all of them. Do not fall into this state of mind since it’s important for you to attend the classes where you are primarily required to be present and participate with your fellow students. It is also the perfect time to start a conversation with your new friends (most of them are as lost as you are) and start opening your social circle. The first year of college involves meeting lots of new people with different background and personality. Do not be afraid to relate or be accepted in groups and try to have an open mind. Try to participate and engage with other groups. First year of college can be complicated, and it may be difficult for you to adapt to the rhythm of study and classes. Don’t lose hope if your academic performance is low or the first materials are difficult for you. The important thing is that you keep calm and have perseverance. With hard work, little by little, you will see the results. College life is more than just studying the textbooks. Participating in the various sports, study groups, and outdoor activities at your campus is one of the best things you can do while in college. These acitivities will help you learn to become a good team player, develop a good personality, and improve your good grades — at the same time enjoying your college life. 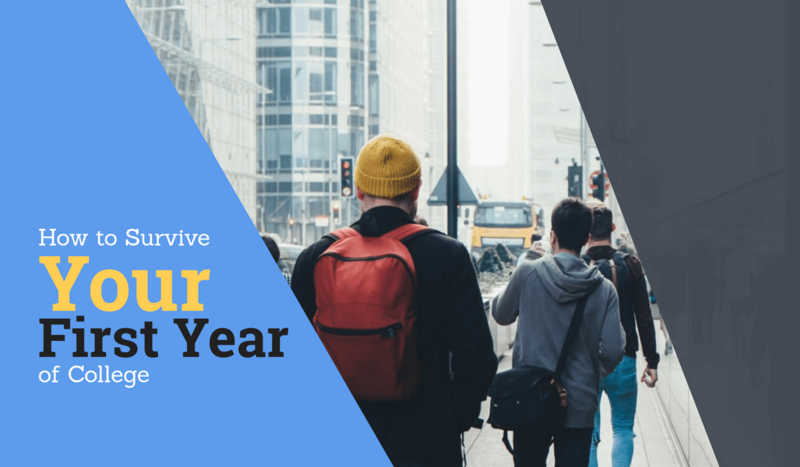 All in all, these are a few approaches that will help you a lot in surviving the first year of college. Following these tips can bring you success in the next four years. Lara Hawkins is an award-winning writer and a leading writing coach at Assignment Mode. She has written a book recently. Most of her work is a reflection of her personal experience gained over several years of teaching experience. She also teaches different classes and conducts workshops on how to write successfully for students.